« Who Looks Best in Balmain’s Tiger Stripe Dress: Mariah Carey or Beyonce? 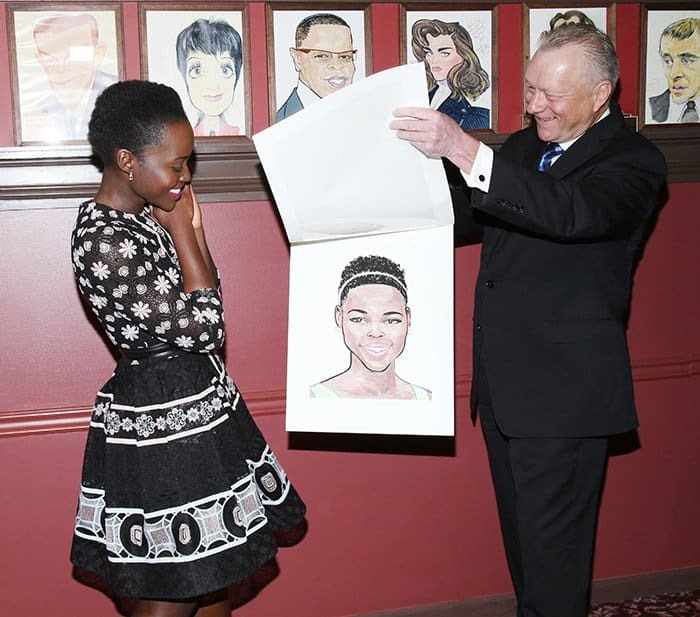 The iconic Sardi’s Restaurant has revealed its new muse – Lupita Nyong’o! 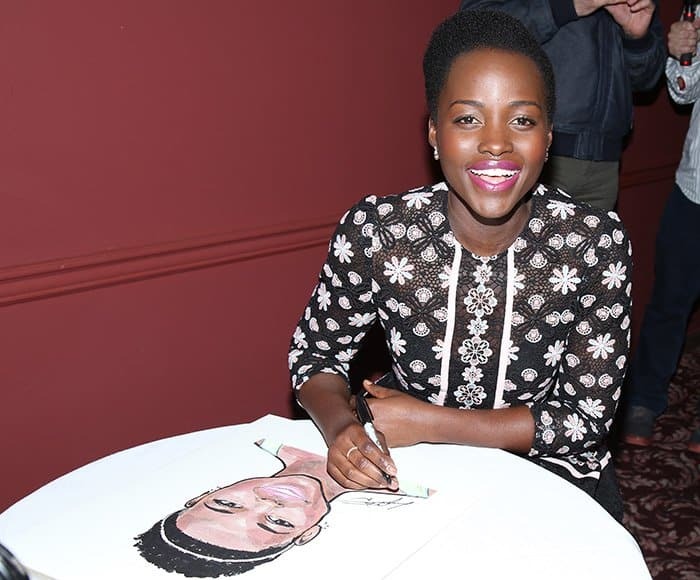 The 33-year-old unveiled a caricature of her likeness — modeled after her 2014 Oscars look — at the eatery. For the event, Lupita wore a fit and flare lace frock from Elie Saab cinched at the waist by a three-strap belt. She capped off the look with a pair of powder blue pumps that complemented the blue elements of the dress. This dress is a great choice if you want to dress for spring weather without being too cliche about it. 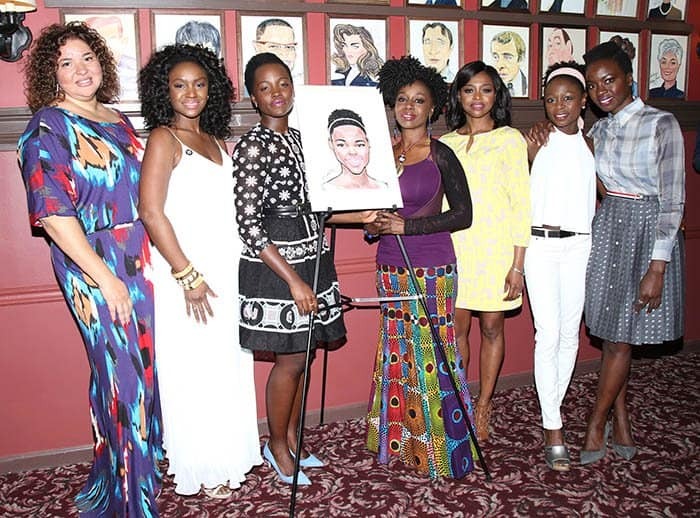 We can’t find the dress online, but here are a few alternatives you might find as pretty as Lupita’s Elie Saab frock.